Professional detailers choose Wheel Woolies for a gentle cleaning touch on any wheel, rim, and tire. 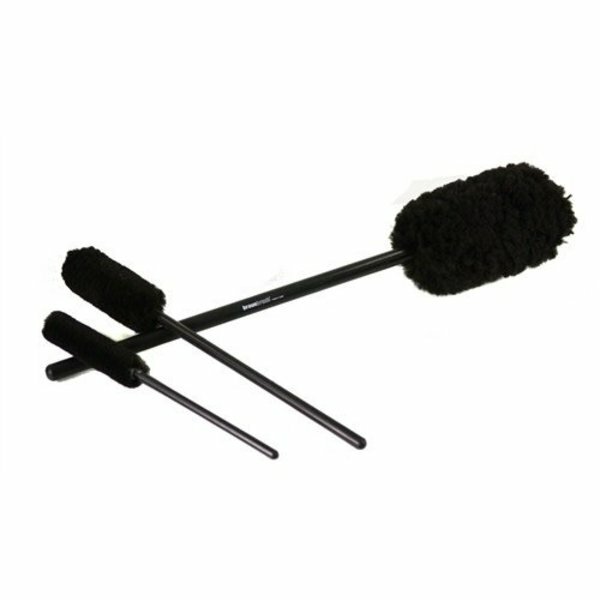 If you 're tired of struggling with old rags and scraped knuckles when cleaning off road grime and brake dust, then Wheel Woolies are for you! 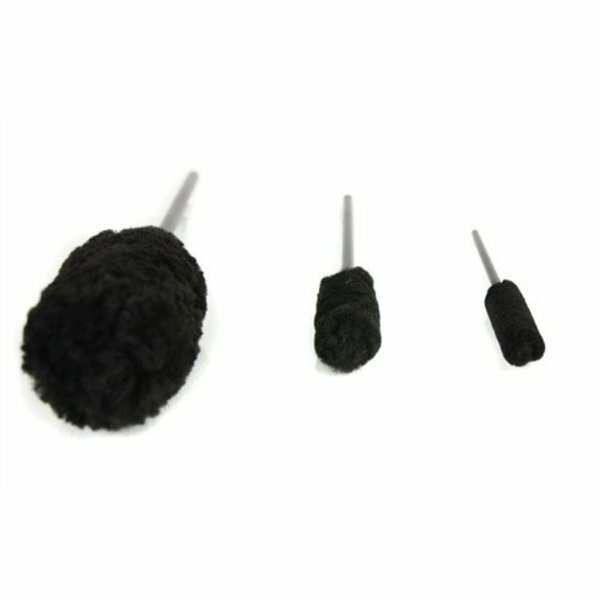 This set of 3 brushes comes with an extra small, medium, and extra large detailing Wheel Woolie wand for cleaning virtually every part of any wheel. Press the extra large Wheel Woolie into large spaces to clean inside the barrel of the wheel, fender liners, or extra large exhaust pipes. Slip the mid sized Wheel Woolie in between spokes and brake calipers to clean smaller wheels and painted performance brake components. 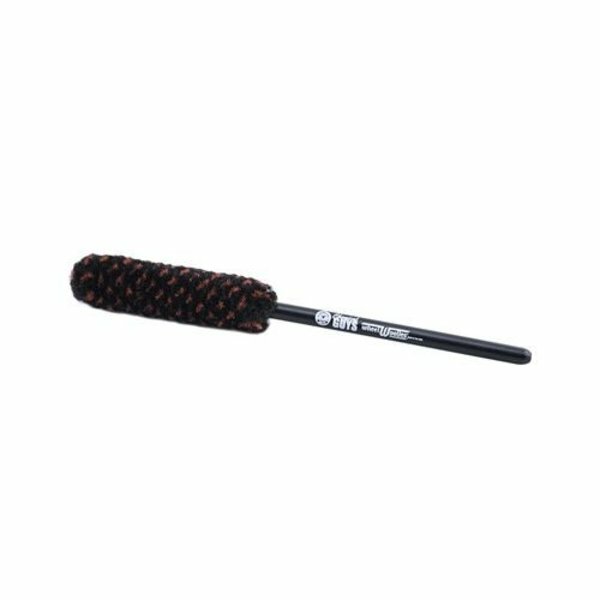 Use the smallest Wheel Woolie to clean around intricate wheel faces, rims, lug nuts, and valve stems. 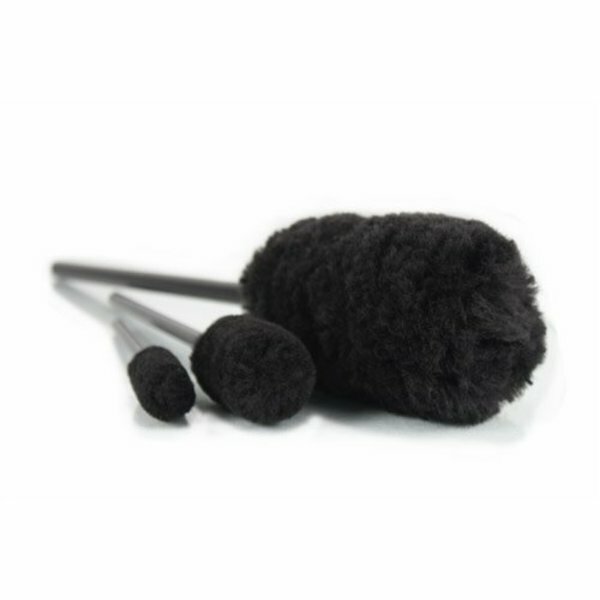 These slim detailing brushes feature a plush synthetic wool cleaning head mounted onto a scratch-resistant synthetic wand. Remove the most-stubborn brake dust, dirt, oil, filth, and road grime from durable and sensitive wheel finishes with minimal risk of installing extra swirls or scratches. Wheel Woolies clean beyond wheels and rims. 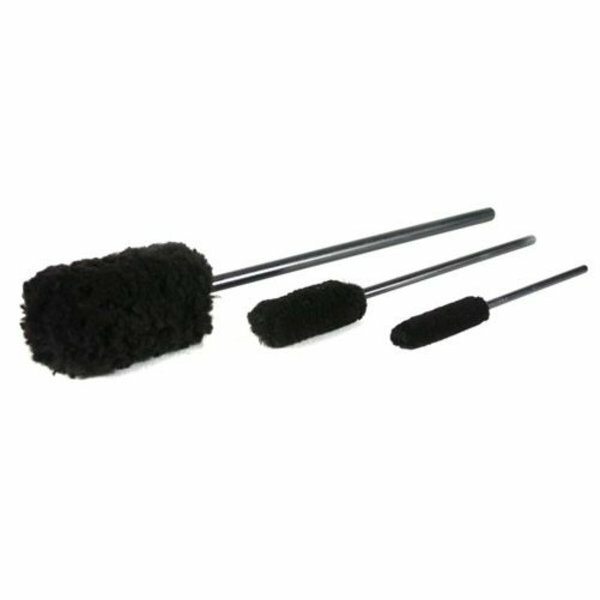 Use your favorite Wheel Woolie to clean out grilles, vents, exhaust tips, door hinges, trunk jambs, engine bays, and any other car part that is just out of arm 's reach. 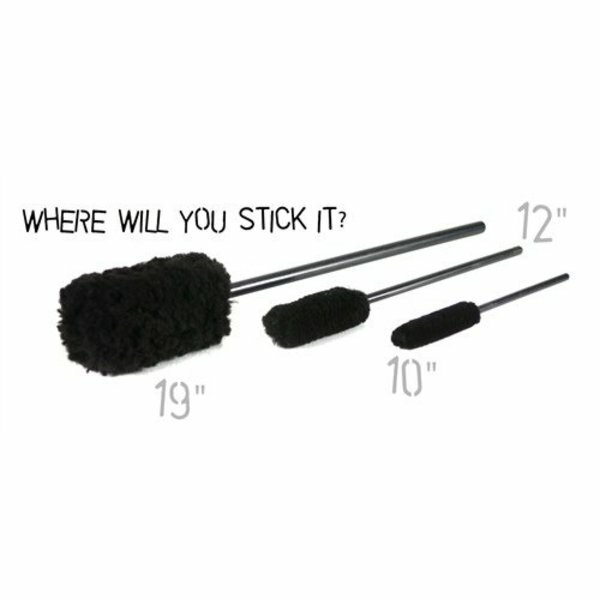 Push past dirt and grime and keep wheels spotless with Wheel Woolies Brushes and your favorite Chemical Guys Wheel Cleaner. Wheel Woolies are big plush brushes for cleaning deep inside wheels and rims. The poofy synthetic wool microfiber gently scrubs away dirt, road grime, brake dust, and any other filth ruining the beautiful shine of your wheels. 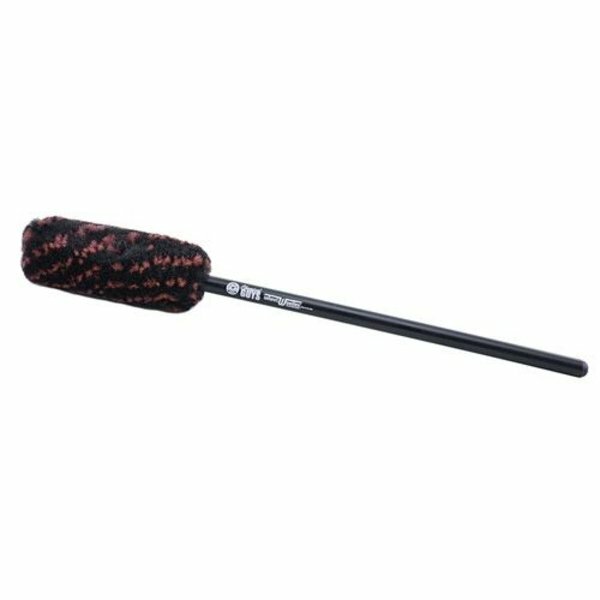 Slip the Wheel Woolie in between the spokes to clean into the barrel of alloy rims, steel wheels, or custom aftermarket drag slicks. Pair up Wheel Woolies with your favorite Chemical Guys Wheel Cleaner to help break down and lubricate any abrasive filth to reduce the chances of installing any swirls or scratches. Take Wheel Woolies out of the wheel-cleaning bucket and into the engine bay. Spray down leaky oil and grease with degreaser and scrub with the Wheel Woolie. 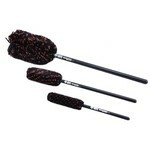 The long reach and skinny profile of the plush brushes slips past hoses, lines, covers, and screens. Slip the Wheel Woolie directly into an exhaust pipe to clean carbon buildup and filth from the polished metal tip. Easily clean around carburetors, intake manifolds, exhaust runners, fluid reservoirs, and the engine block for a thorough engine bay detail with Wheel Woolies. The right tool for the job makes any task go well. Cleaning those hard-to-reach spots is made much easier with versatile cleaning tools like Wheel Woolies. Slip the puffy woolly tool in narrow spots where bigger brushes, towels, and hands just don 't fit. Gently scrub dirt, filth, and grime from door jambs, hood jambs, trunk jambs, door hinges, engine bays, brake parts, suspension components, sunroof window tracks, seat tracks, and any other spot that 's just out of reach from any other traditional cleaning tools. 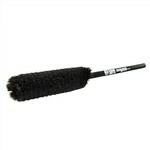 Wheel Woolies are your new favorite detailing tool for cleaning any part of your car, inside or out.